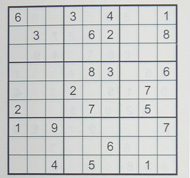 Personal Puzzles mimic the layout of a Sudoku puzzle. 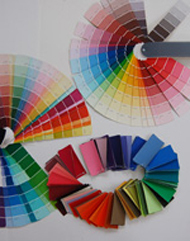 because I invite friends and fellow artists to select colors. 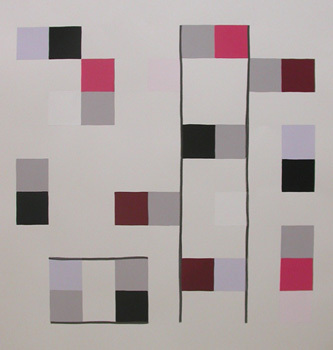 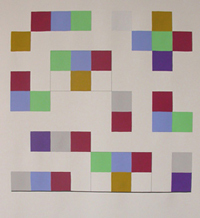 to a puzzle, no color can repeat in a column or row. 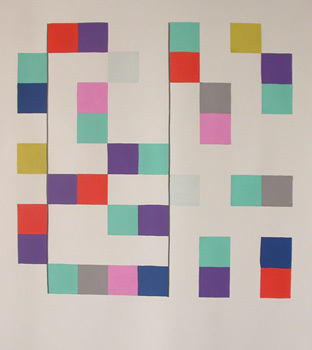 I determine how finished to make the grid. 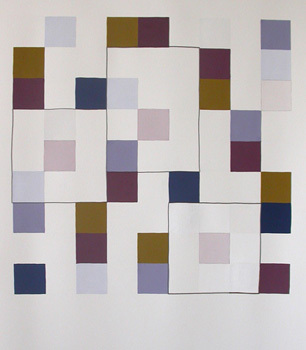 Colors sink into the white paper while the unsolved squares of the grid expand out into the blankness. 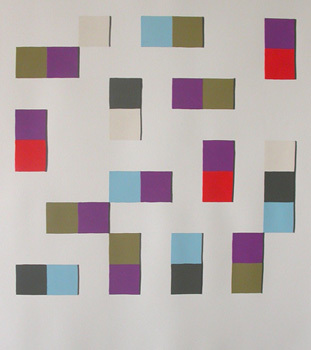 The relationship of a single color, a pair, or a combination to the whole constructs its identity. 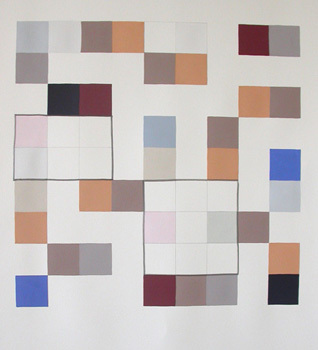 Graphite lines outline certain sections of each puzzle, augmenting the composition, and breaking up the grid. 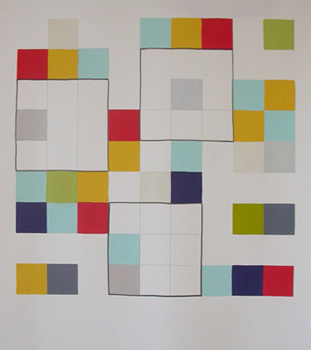 The combination of personal color preferences and Sudoku puzzles means unlimited compostions. 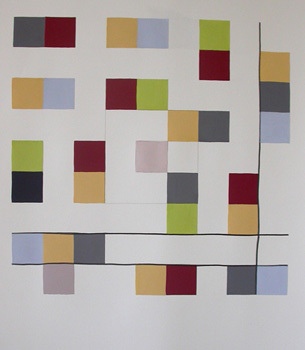 30 x 22 inches as a sheet of BFK Rives paper.